This is a 16 unit live-work condominium development in Venice, CA. This view is looking North on Electric Avenue. View at the corner of San Juan Avenue. As seen from Abbot Kinney Blvd. 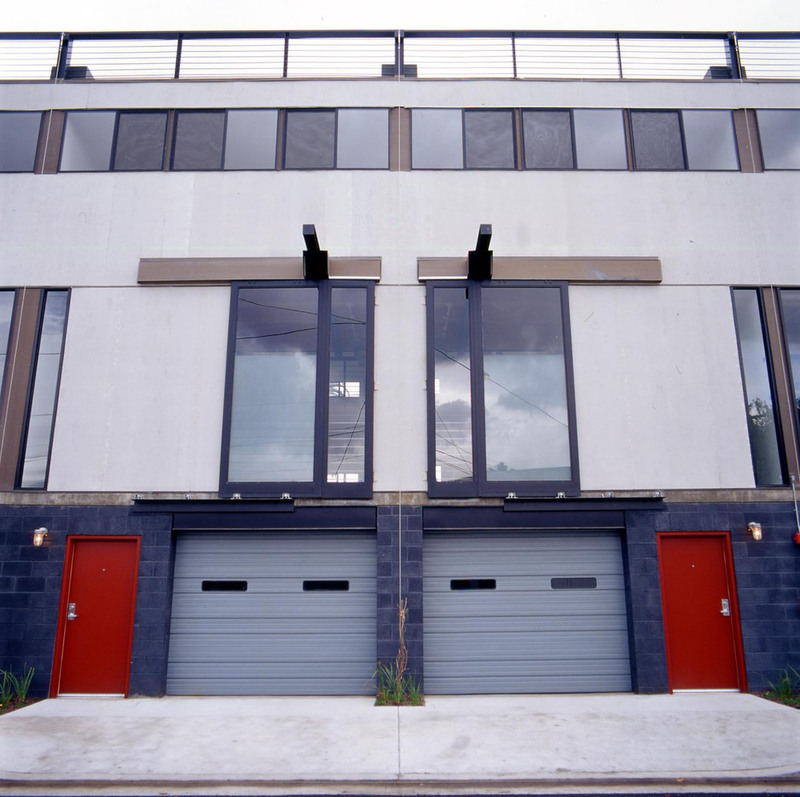 A typical Electric Ave. façade showing the vertical stacking of garage, working and living, with the loading door and crane to facilitate access to the elevated work area. The loading door and crane in action. A section through a typical unit showing the relationship of the parking to working to living to leisure on the roof. View of the main level. 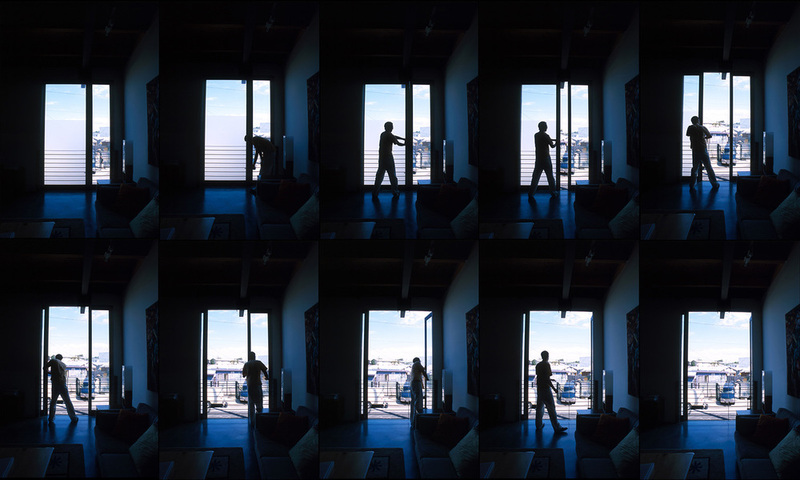 Sequence showing the use of the loading door. This door creates a direct connection between the interior spaces and the neighborhood life on the street. View from main level looking up to the living areas. View looking from dining area towards sleeping area. View from sleeping area looking down on the main level. View across the roof deck showing the use of planter boxes to demarcate the space of each unit. View in the dining area during opening.